. يقدم Amore on Buderim Rainforest Cabins خدمات لا غبار عليها وكل أشكال اللياقة وحسن الضيافة اللازمة لإسعاد ضيوفه. لضمان راحة ضيوفه، يقدم الفندق الخدمات التالية: مدفأة, تسجيل وصول/تسجيل خروج خاص, خدمة سيارات الأجرة, تسجيل وصول/خروج سريع, تخزين الأمتعة . ادخل إلى واحدة من الغرف 4 وتخلص من عناء نهار طويل بمساعدة مجموعة كبيرة من الخدمات كمثل تلفزيون بشاشة مسطحة, حوض الاسترخاء, غرف لغير المدخنين, مكيف هواء, تدفئة الموجودة في بعض الغرف. سواء كنت من محبي الرياضة أو كنت تتطلع لتفريغ عناء نهار صعب، ستجد خدمات ذات مستوى عالي بانتظارك كمثل حوض استحمام ساخن, مسار جولف - ضمن 3 كم, حمام سباحة خارجي, سبا, تدليك. مهما كانت دواعي سفرك فإن Amore on Buderim Rainforest Cabins هو خيار ممتاز لإقامتك في صن شاين كوست. A real treasure tucked away in amongst the trees, the inside of the cabin was compact but very well set up, welcoming and comfortable. Cleanliness was a let down with a thick layer of dead ants and spiders found behind the bed, under pillows, and imbedded in the towels. Recommend a deep clean rather then surface. The pool and bar-b-q area could do with some TLC. A walk through the rainforest would have been lovely however it was very overgrown with pathways blocked, maintenance work in this area would improve the enjoyment of the stay - perhaps they were in the middle of doing this up? On a good note, the host was friendly and made us feel very welcome, the spa was a delight, and the view from the balcony was beautiful. I would still recommend this place to others. Unfortunately there were spider webs throughout the apartment and in the shower many spiders. We were recommended the bbq to cook our dinner which was extremely dirty and surrounding deck area hadn’t been cleaned in what looked like months. The pool was full of leaves and looked quite unsafe to swim in, which was a shame as it was an extremely hot weekend. Overall rooms were nice but surrounding facilities were atrocious and extremely disappointing. A few nights here was a real retreat. Thanks for the great review and congratulations on your milestone anniversary. We are so happy that you enjoyed our little piece of paradise. Hi Angelica, We are so please you enjoyed your stay at Amore . The location of Amore is really great isn't it . Great restaurants, bars, clubs are literally just a few minutes away. Also no problem with getting a taxi or Uber and the courtesy buses from local taverns and surf clubs will even pick you up and bring you back to your cabin. A great service if you want a night out and no worry about driving. Thanks again from Amore . Had an amazing weekend here, everything was perfect. 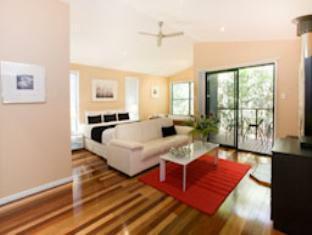 Great location in Buderim, nice and close to nature. Spa and fire place were a nice touch. Thanks for your recommendation Emily. And we are glad you enjoyed the bubbly & chocolates as well. Very helpful friendly staff - Stayed in Cabin No. 6 - King Size bed very comfy. 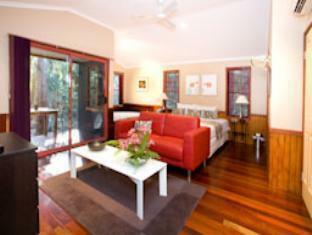 Peaceful, private with a beautiful rainforest outlook. Didn't want to leave. Hi Lyn and thanks for your great review. Being in a rainforest leaves and palm fronds are always dropping. Thanks for leting us know about the cups etc as we have had this fixed. 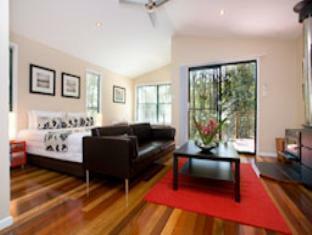 You booked one of our Standard Cabins so next time you visit Amore why not try one of our new Deluxe Cabins. Loved it. Didn't want to leave. Hope to go back. It states on the "amore " website that ALL bookings come with supplied breakfast! Breakfast did not arrive, so when inquiring we were advised that as we booked the room through agoda (the link I was sent to) that the breakfast is NOT supplied. Very disappointing. Hello Craig, As you are aware you did not make your booking through the Amore website. The voucher we received from Agoda was for accommodation on a room only basis . As with most bookings today whether it is for flights, hotels etc conditions can vary between the different booking sites. So happy that you found your stay to be peaceful and comfortable. I think you have summed it up pretty well . Amore is indeed about serenity, comfort and location Thanks for the great feedback, we really appreciate it. In-room spa, king sized bed, fire place. 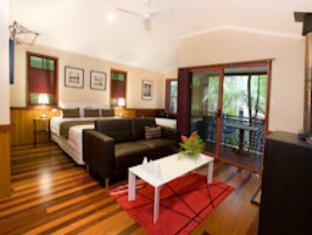 Amore on Buderim is a gorgeous location for some quiet, relaxing time spent with that special someone. Only wish we had more time to explore the 7 acres of rainforest. Thanks Fiona, and we are really happy you were able to spend precious time together. Each weekend we hear from our guests that they have enjoyed time together, as a couple. Away from kids, life and work,. A million miles away. Our guests tell us all the time that when they drive in our front gate that it feels like another world. So glad you enjoyed your stay with us . And don't the bath bombs add something special to enjoying our big spas. One of the best relaxation holidays I've had in awhile. Quiet, romantic, relaxing and very enjoyable coupld of days.